Raul Otero has been passionate about real estate his entire life. As a child, he recalls his dad showing him new listings that he’d acquired or inviting him to help out at showing buyers on the weekends. This passion has stuck with him from childhood through adulthood. Igniting this spark, Raul chose a career in real estate, where he would always have the opportunity to help others. His enthusiasm for serving others has only increased, helping him connect with his clients on a deeper level. A resident of Orlando for over 25 years, Raul has lived and worked in various parts of Central Florida throughout his life. Though specializing in residential sales, he also works with commercial and industrial properties. As a seasoned real estate professional, Raul recognizes and values the trust his clients place in him. His business is based on referrals from satisfied customers he now calls friends. As a Broker-Associate, one of his core values is building lasting relationships with his clientele. 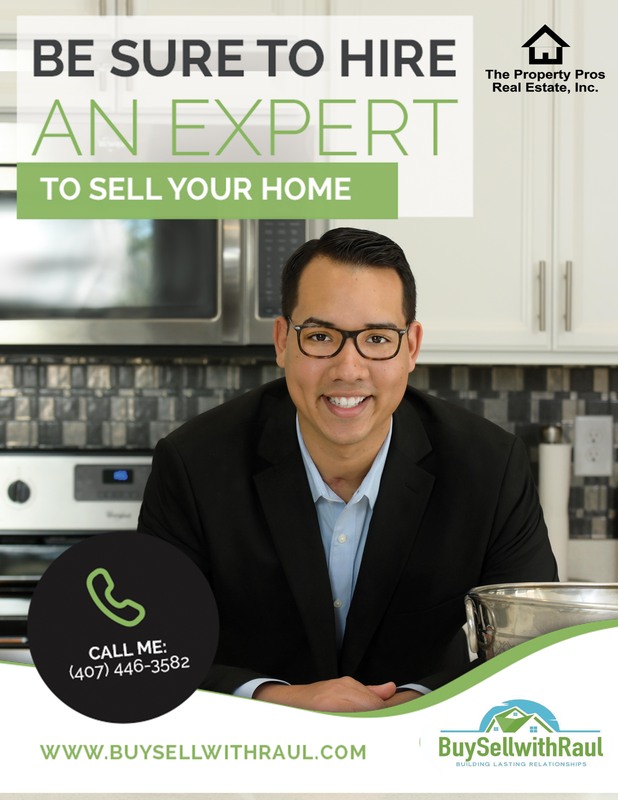 Utilizing his extensive background in sales and customer service, Raul has assisted hundreds of families to purchase and sell their properties throughout his real estate career. His excellent communication skills and timely responsiveness provide him with the tools to be one of the best realtors in Central Florida. Each meeting with Raul is personalized and tailored to meet his clients’ unique wants and needs. He is a firm believer of applying strong social techniques to every aspect of business and continuously strives to provide high-quality, exceptional service to everyone he works with. Raul is constantly spreading joy, just about every second of every day. Understanding the premise of smiles being contagious, he aims to pass that methodology along through every step of a transaction- from signing the offer to closing day. Clients appreciate Raul’s friendly attitude, patience, and his gift of spreading a smile to whoever crosses his path. When he’s not working with others to help find their dream home, Raul enjoys spending time with his family and beautiful wife. He loves music, singing, and playing the guitar every chance he gets. If you are planning on buying or selling in the Orlando area, contact Raul Otero, your local Real Estate Expert. CONTACT ME, LET’S DO LUNCH, CLICKHERE!